“D” and “skiing” are not used in sentences together. I’m fairly confident the last time I put skis on and raced down a mountain was during President Clinton’s first term. I’ll admit — I never imagined my first real foray into West Coast skiing would be in Las Vegas. As a teenager when I was able to whisk down those black diamonds, I envisioned myself clad in a faux fur hat and pink ski goggles racing down a majestic mountain on fancy skis in some resort town like Park City or other ski-bunny town. The first time in my adult life I faced the mountain west of the Mississippi was this past weekend. In Las Vegas. 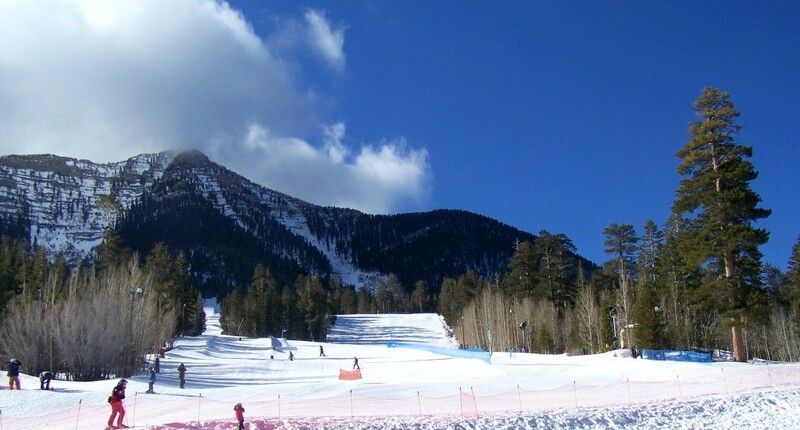 At Las Vegas Ski & Snowboard Resort. Yes. Las Vegas has skiing. And, it’s not inside some resort on an artificial mountain, it’s outside. In the mountains. With real snow. (Well, most of the stuff people actually ski on has been made by snow machines, but it’s still snow.) And, below that stuff is the real, fallen-from-the-sky deal. 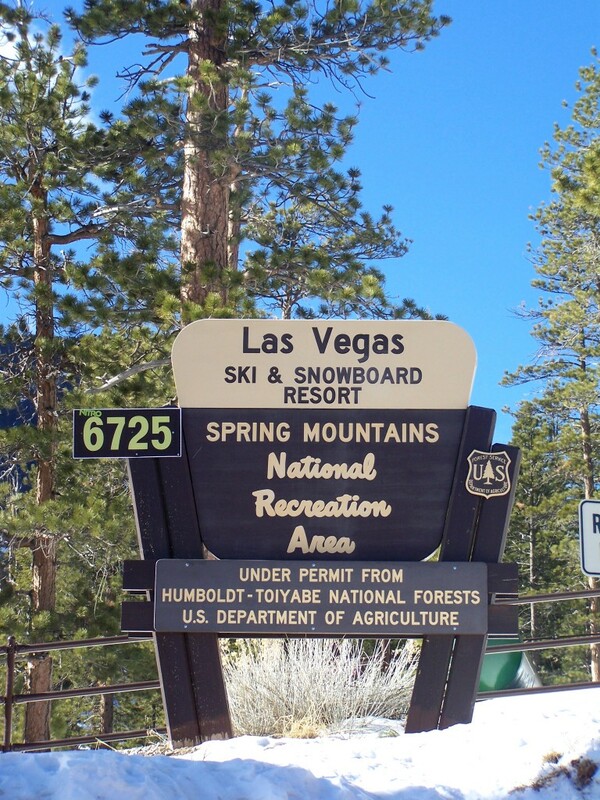 In fact, as we entered the holidays in 2011, Las Vegas Ski & Snowboard Resort, the only ski/snowboard resort in the area, had the deepest snow base in the region, measuring in at a whopping 50 inches. 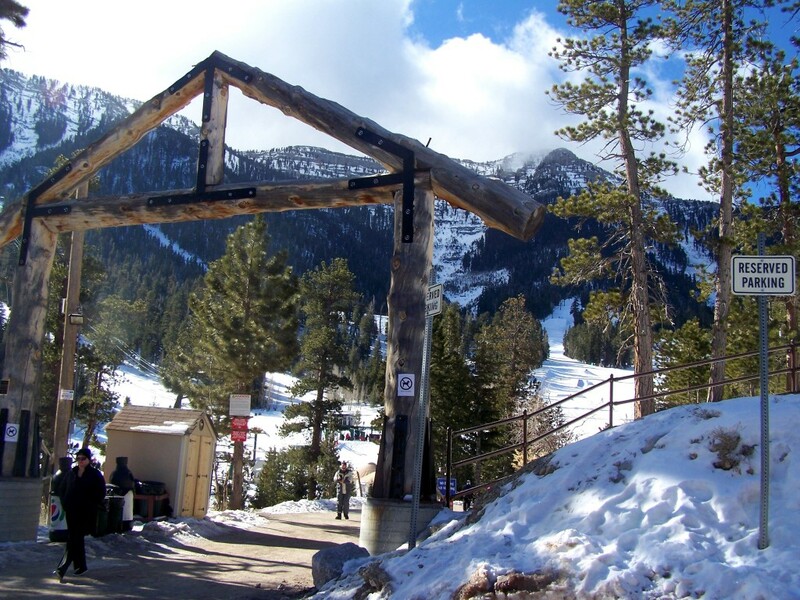 A pretty 45-minute drive from The Strip is the resort, tucked into the Spring Mountains’ Lee Canyon. Here, unlike the desert some 6,000 feet below, winter actually comes. Sometimes with striking force. Fortunately, the day I head up the mountain, the sun is shining. The rustic entrance to the resort. The mountain attracts both locals looking for a day trip, and tourists keen on experiencing yet another side of Las Vegas. The last leg of one of the blue slopes. 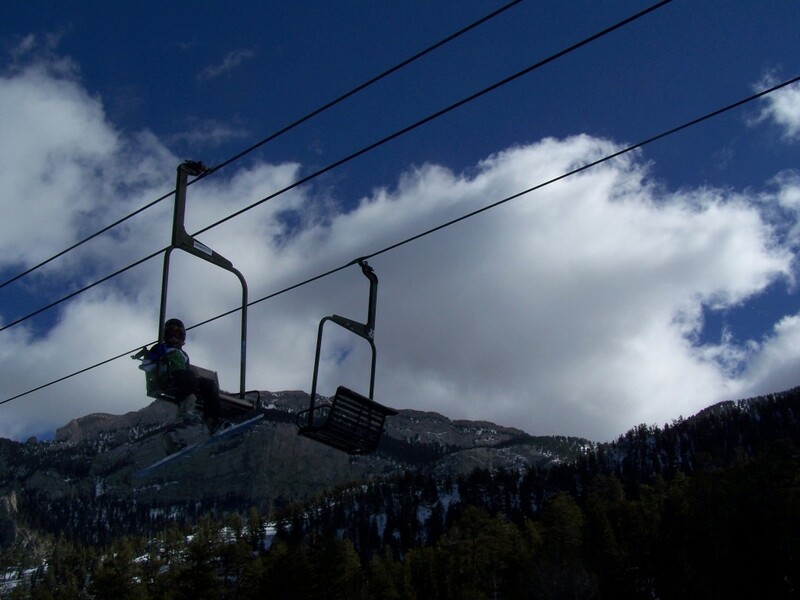 Las Vegas Ski & Snowboard Resort has 11 trails — only two of which are beginners (the ones I explored). The rest of the trails are blue (60 percent) and black (20 percent). Thanks to the terrain park, the snowboarders outnumber skiers on the mountain. The vertical drop is on par with what I’m used to from my Mid-Atlantic skiing days back home — a tamer 860 feet. In terms of distance, the longest run at the resort is 3,000 feet. But, for me, that’s just fine. The biggest challenge for me wasn’t gliding down the mountain. It was getting on and off the lift the first time. There were no bars on these bad boys, so my hand wrapped around the frame in a death grip. The wooden benches transport to the top of the bunny hill. Granted, I was also a little nervous about the actual act of skiing. 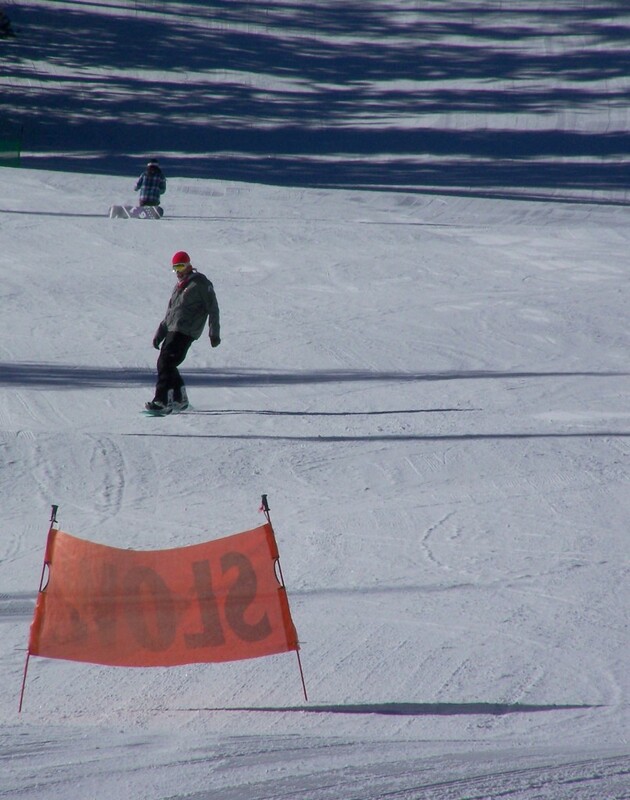 Since it had been ages, I joined a class quickly to get a refresher in the fine art of the “wedge.” The resort offers a wide-range of classes, including group and private lessons for skiers and snowboarders. 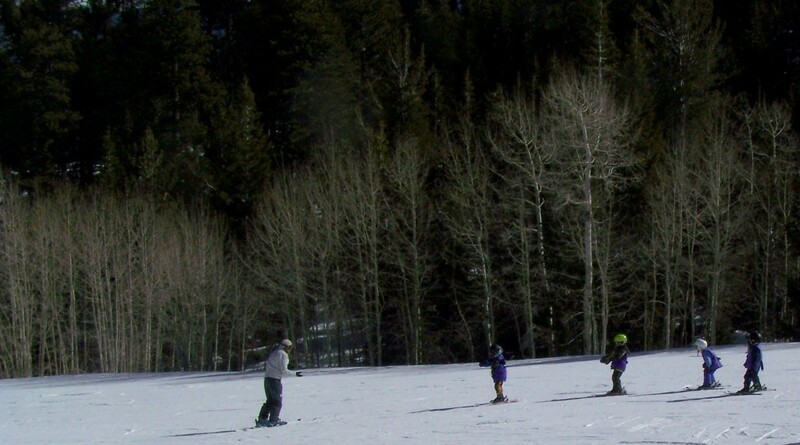 Little kids learn how to ski. And likely look more graceful than yours truly whilst learning. I am very happy to report, I sustained no injuries on this sunny Las Vegas day. Which is more than I can say for other adventure sports activities I have tried … like the time I enjoyed para-falling instead of paragliding; or my sea navigation issues. In terms of what to wear … I think it is safe to say my outfit was laughable. 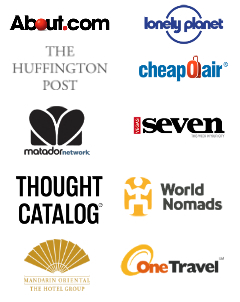 Being chic and a budget traveler don’t go together! I don’t own ski clothing, so I wore jeggings (I know …), a turtleneck, T-shirt, fleece vest and brought with me a pair of thick sweat pants, an REI fleece-lined jacket, knit gloves and a hat. 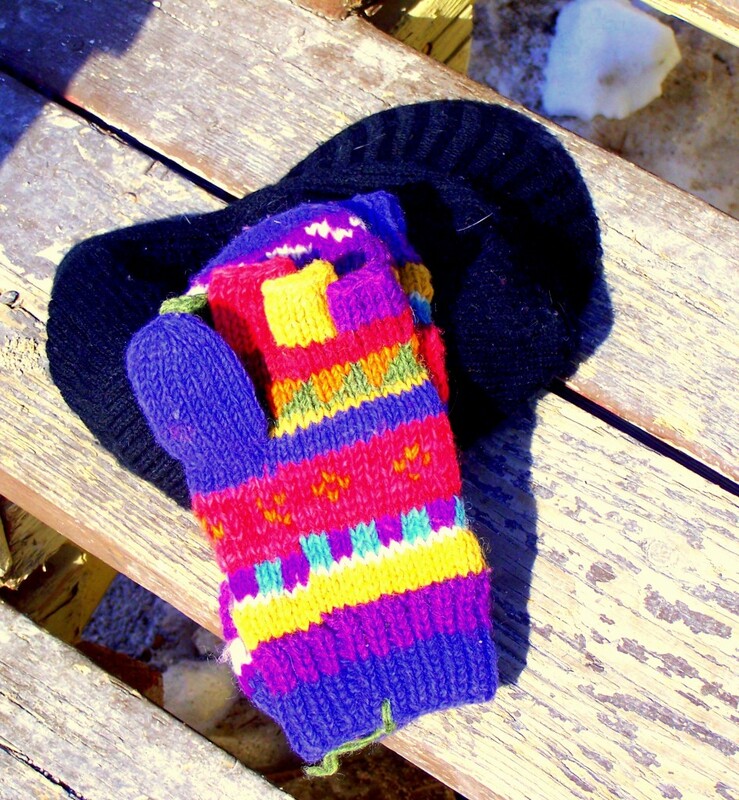 Hat and gloves I brought along to go with my sweats and fleece. A gorgeous day in the Las Vegas mountains. On this Saturday morning though, the sun was shining, the sky was nearly cloudless and the mid-30 temps didn’t require too many layers beyond what I was already wearing. I also don’t own skis, or any of the other gear that goes with it, so I rented those there, too. 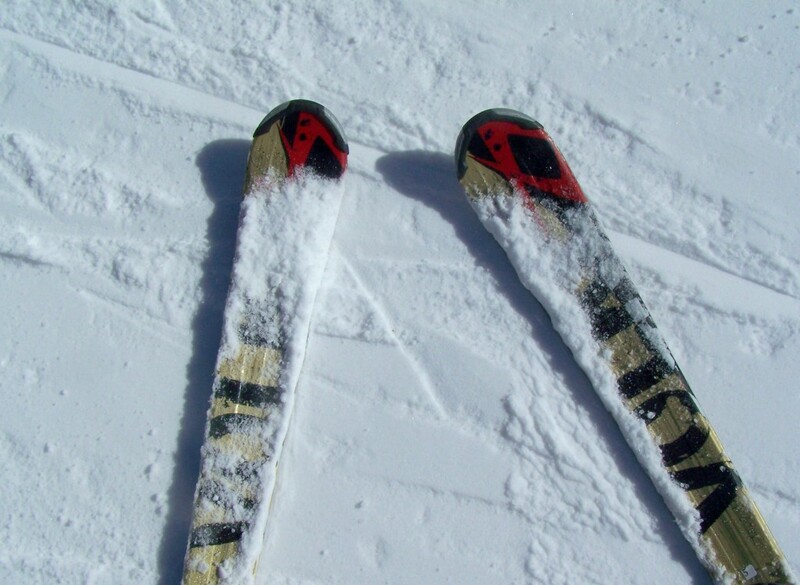 Skis covered with snow fresh from a quick run down the bunny slope. When the snow melts, the resort turns into a gorgeous area for hikes winding through pine trees complete with fresh mountain area and perfect temps compared to the sweltering heat in town. 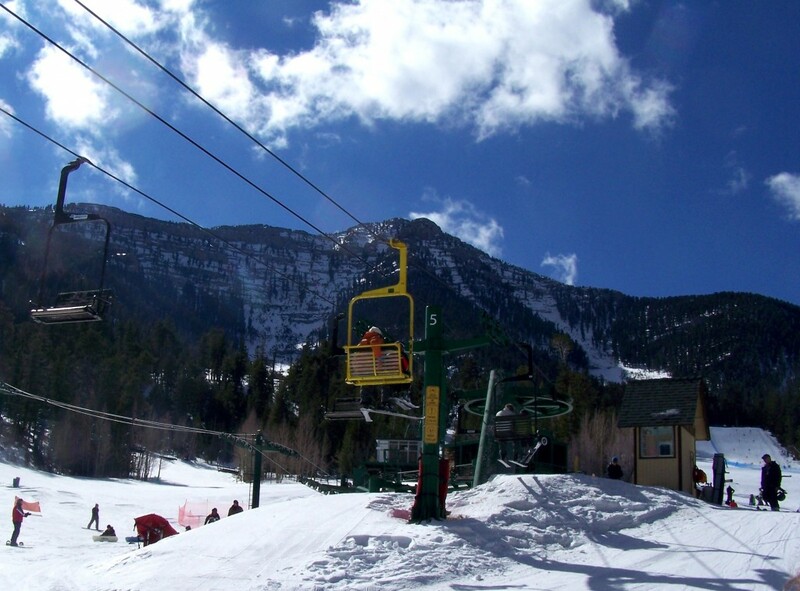 Las Vegas Ski & Snowboard Resort is a the perfect place for people in Las Vegas looking to get a breath of the great outdoors without venturing too far from The Strip. The snow conditions vary depending on the weather and when I skied, it was packed and slightly icy. Price is fair, and deals can be found online to help minimize the expense. People coming to the mountain should not expect a Vail or an Aspen, but they should expect a fun day skiing less than an hour from one the most popular tourist destinations in the world — Las Vegas. Unlike resorts dotting mountains in the west, this one doesn’t have on-site lodging. In fact, the closest beds available are on the other side of the mountain in Kyle Canyon with a choice of two properties — The Resort at Mt. Charleston or Mount Charleston Lodge. Otherwise, it’s back down the mountain and into town. The closest major resort in town is Santa Fe Station. From The Strip, take I-15 North to 95 North. Stick on that for around 30 miles then turn left onto Rt. 156 to Lee Canyon. About 17 miles up the road (note: don’t speed, there are police who will pull you over, take it from me), the road dead-ends into the resort. Don’t have a car? Don’t worry. 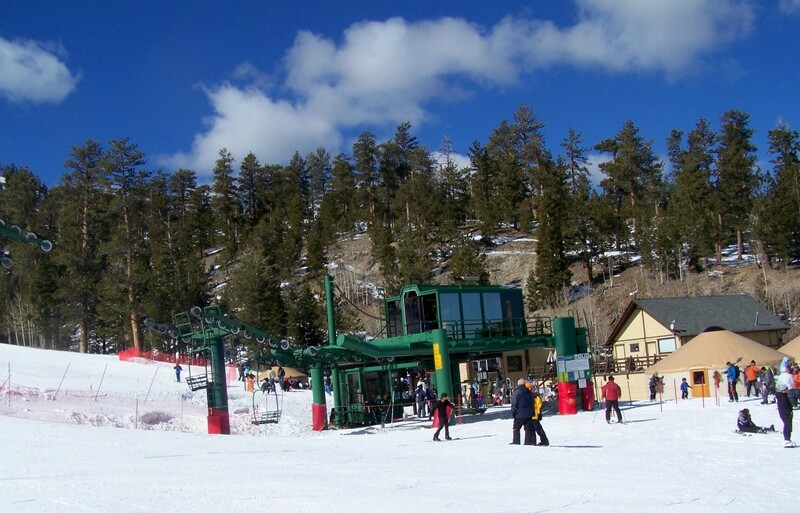 The resort also operates a shuttle bus that departs from Town Square and Santa Fe Station around 8 a.m. every day, returning after 4 p.m.
For details, visit Las Vegas Ski & Snowboard’s Web site. Editor’s Note: I was a guest of the resort for the day, however all opinions are my own. If you have questions regarding this, please read my disclosure policy. So glad you got to experience the “other” Las Vegas! Many people do not realize that there is a whole other world just a few miles beyond the LV Strip. I live in Utah and love the rest of Nevada – the desert and the mountains have so much to offer for the outdoor enthusiast. This has been a low snow year overall in our mountains and so it is not surprising that much of the snow is man-made. 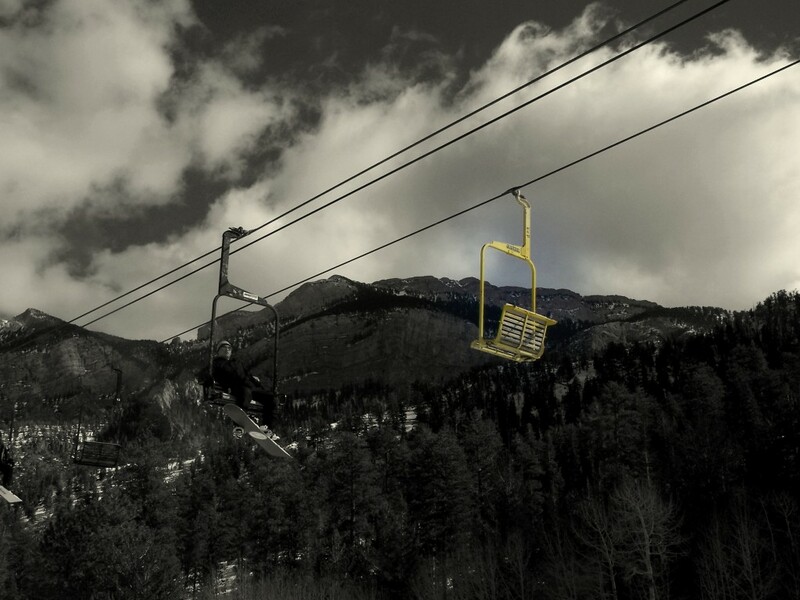 I would have liked to just ride up and down on that ski lift – What a view! I understand your pain on learning to ski. I tried snowboarding once ages ago. It did not go down well and I gave up. I might have to give skiing a serious try though, just to see why EVERYONE loves it. I can’t believe Las Vegas has a ski resort. You really can do anything in that city! Happy to hear you conquered the slops with no injuries. Pretty sure I would break something. 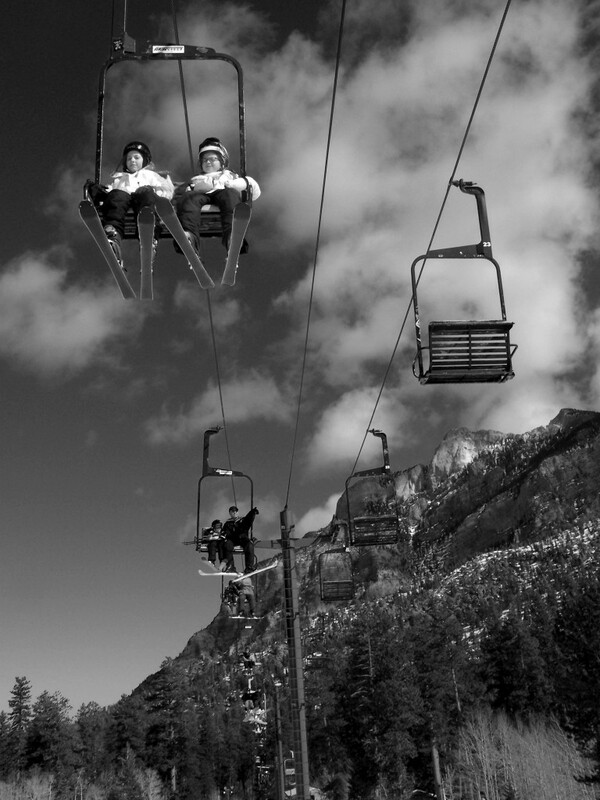 There’s something so freeing about gliding down a mountain covered in snow! I think you’d surprise yourself. I’m a huge klutz, incredibly lacking of grace, and I managed to do it!! I don’t think I can ever go skiing… I always just picture myself falling and injuring my knee (previous ACL injury – not ski related). It’s traumatized me! Had no idea you could go skiing in Las Vega! Thanks for opening my eyes to new possibilities! I love that Las Vegas has a little bit of everything ~ including a ski resort. Just another reason to fall in love with Sin City! At least you know you will have company! I don’t think I could ever snowboard. I am FAR too uncoordinated! I had such a blast in Saturday! So glad we got to catch up. Me, too! Can’t wait for our next adventure! I didn’t know that Vegas had skiing! I guess I shouldn’t be surprised, since it seems like Vegas has a bit of everything, but I was surprised to read that it’s not all man-made snow. I haven’t been skiing FOREVER, so I’ll join you in a wedge on the bunny slopes. Vegas does have a bit of everything! It’s funny, most people who live here don’t even head to the resort, they go elsewhere. But, it’s so close! Come on up! Everybody, don’t listen to Diana. She was a PRO at skiing — and one of the only ones who got off the bunny slope!! Ha!! Pro!! I love that. You should have seen me on the bigger slope. My knees were bent and locked as I snow plowed down the mountain at a snail’s pace! Thank you! I had a moment earlier this winter when I thought I lost them and was gutted. I’ve had them for 10 years. I haven’t been skiing in Vegas yet, but I love that there is so much to do in Vegas besides gambling, clubbing, and going to shows. Glad you had a good time! It is a nice change, that’s for sure!! It definitely is a nice, and nearby, change of pace from Vegas proper!